There are so many different video add-ons for Kodi currently, that we felt the need to provide you with some of the best ones. Video add-ons are a specific type of add-on available for Kodi, which usually resolve around Movies, TV Shows, Live Sports, Live TV & IPTV. As there are so many, we’ve put together this list of the Best Video Add-ons for Kodi. If you suffer any buffering issues when streaming Video add-ons on Kodi, you might want to take a look at our guide to stop buffering with Kodi. Although this list is labelled 1-10, the order doesn’t mean anything. We recommend you take a look at every add-on, instead of just number 1. 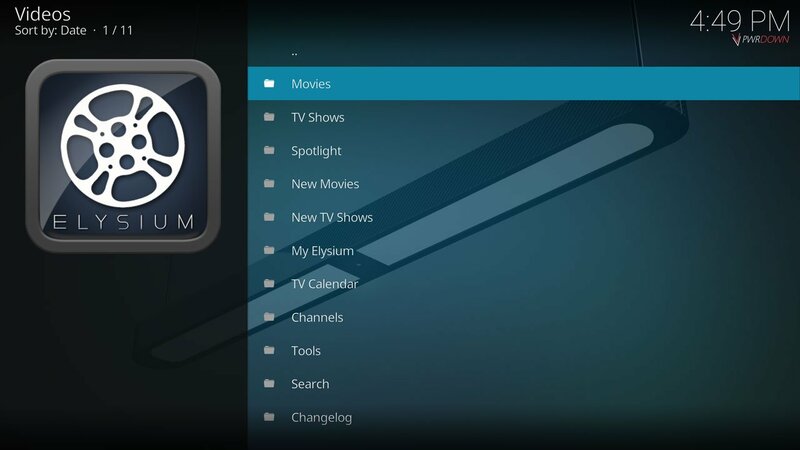 The Elysium add-on for Kodi is an add-on that provides Movies and TV Show streams to Kodi. Sources are reliable and it has extra features such as local watch lists, movie downloading and calendars. It’s definitely one of the Best Video Add-ons for Kodi. 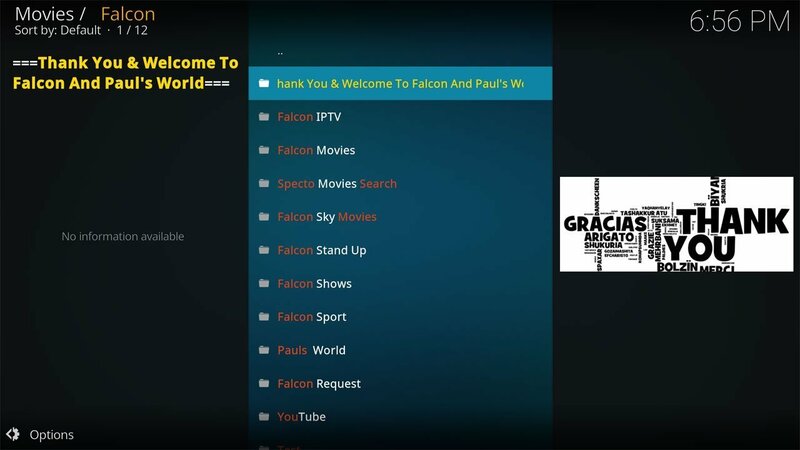 Kodi’s Falcon Add-on primarily specialises in IPTV. It has a lot of Live TV Channels for UK, USA and Spain. As well as IPTV, Falcon also has a a lot of movies which can be sorted by 4K, IMDB Rating and more. It’s a great add-on to any Kodi setup. If you’re a sports fan, you’ll love SportsDevil. 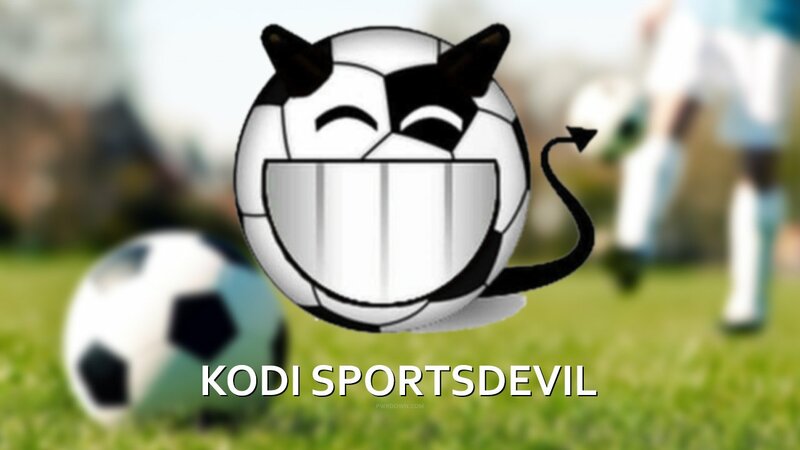 Kodi’s SportsDevil hosts hundreds of different streams for pretty much every sport. It’s one of the most respected Sports Add-ons, making it one of the Best Video add-ons for Kodi. 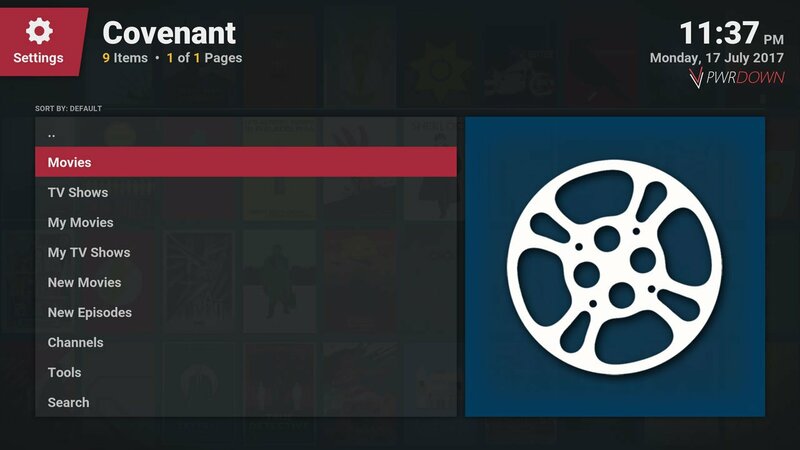 The Covenant add-on is another Kodi add-on which provides Movies and TV Shows to Kodi. 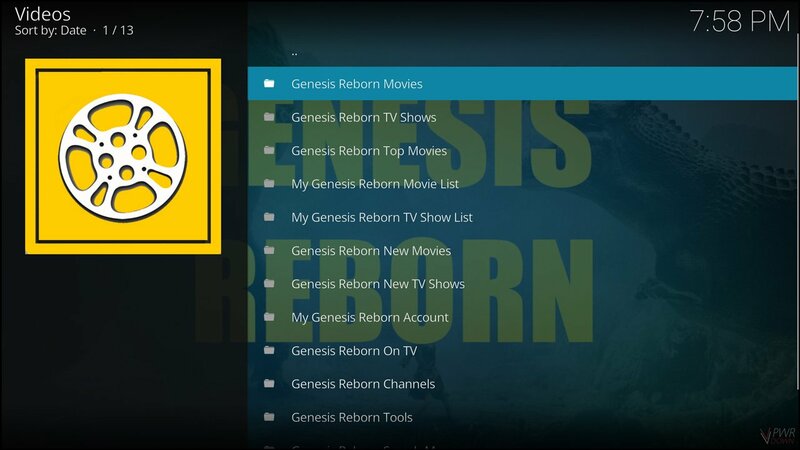 It’s a great alternative to add-ons like Exodus, and is easily one of the best Kodi add-ons for Movies. This add-on provides a lot of car & vehicle related shows such as Top Gear, Chasing Classic Cars, Pimp My Ride and a lot more. There are around 43 shows total, all in great quality. It’s one of the best Kodi add-ons for car enthusiasts. 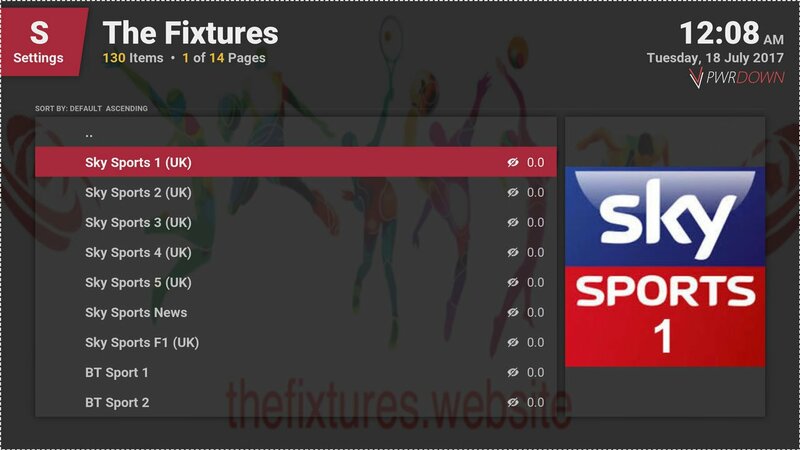 Another one of the best sports add-ons for Kodi is The Fixtures. It provides a lot of Live TV Sports Channels to Kodi, which where pretty reliable and where in a good quality. There where around 130 total Live Sports Channels. 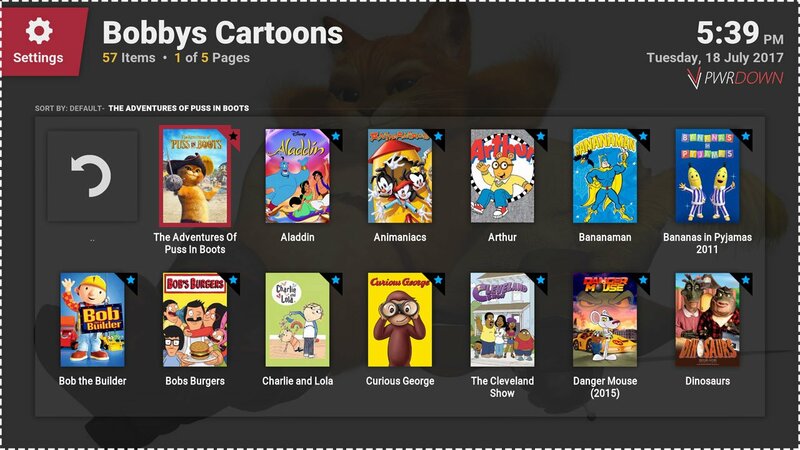 This add-on provides a lot of cartoons and animation show. It’s primarily targeted towards children, however there are a few adult shows included such as Rick and Morty and The Cleveland show. You can also check out the Best Kodi add-ons for Kids. 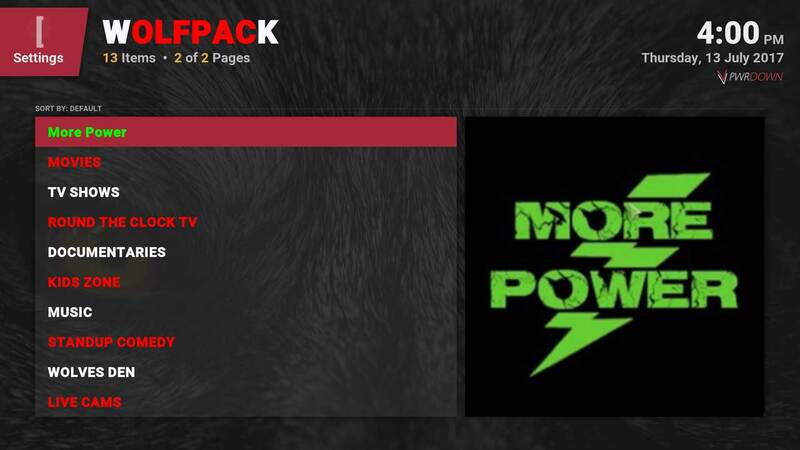 Kodi’s WolfPack add-on packs quite the punch. 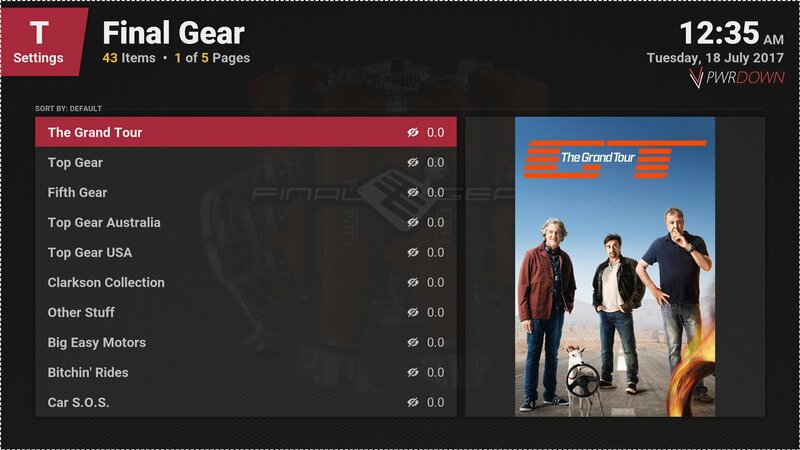 It has a lot of content, including Movies, TV Shows, Documentaries, Music, Live Cams, Music and Round the Clock TV. It definitely has content for everyone, making it one of the Best Video add-ons for Kodi. The Bob Unrestricted add-on provides a lot when it comes to Movies, TV Shows and Music. 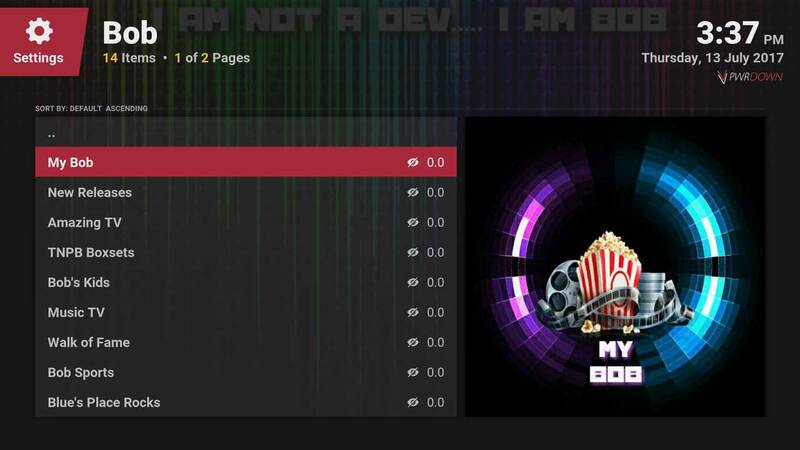 It’s a very popular add-on, and you’ll find it in a lot of custom Kodi Builds. It definitely diversifies your Kodi setup. Finally, Genesis Reborn. This add-on is another great provider for Movies and TV Shows, as well as a top contender against other add-ons. It’s definitely one of the best Video add-ons for Kodi Krypton, and is a great back-up Movie provider. You can also download content from it.